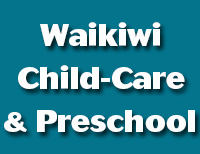 Waikiwi Childcare Centre, located in North Invercargill will take care of your important "little people", who will enjoy individual and personal attention by our fully registered and qualified teachers. A safe but exciting learning environment indoors as well as outside. WINZ & 20 hours ECE subsidies are available. Call us now to arrange a visit and see what we have to offer you. Our teachers are fully registered and qualified! We provide a safe yet exciting learning environment, both indoors and outdoors.